WhyArts is pleased to introduce its newest partner – Ronald McDonald House Charities in Omaha (RMHC). The mission of RMHC is to create and operate programs that directly improve the health and well-being of children. Specifically, the organization supports access to care, reduces financial burden, provides psychosocial support keeping families together, enhances clinical experiences and outcomes, and helps families resume normalcy. 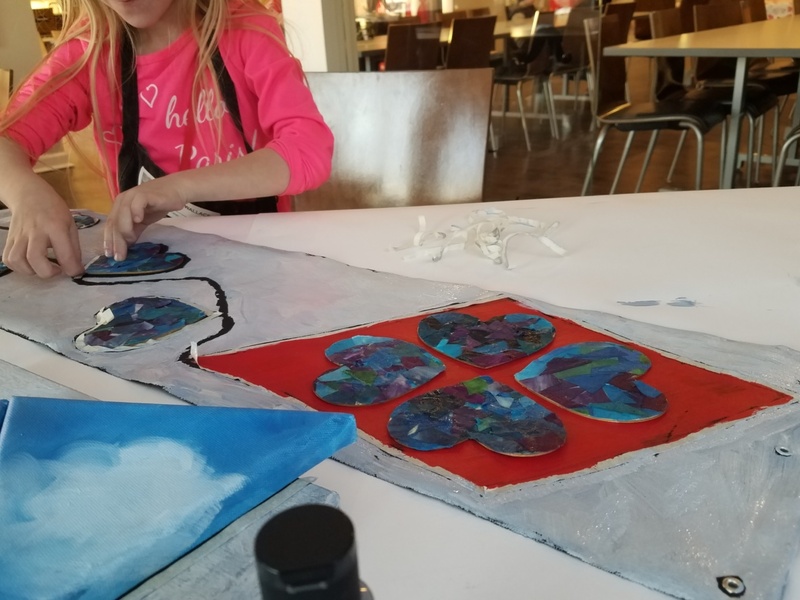 Throughout 2019, WhyArts is working with RMHC to provide creative-making opportunities for its residents and their family members once a week. The healing capacity of the arts is being explored through visual arts, music, movement and storytelling residencies with WhyArts teaching faculty Nils Haaland, Bill Hoover, Sarah Rowe, Paula Wallace and Felicia Webster. Many of the resulting projects color the interior of the communal gathering space at RMHC.